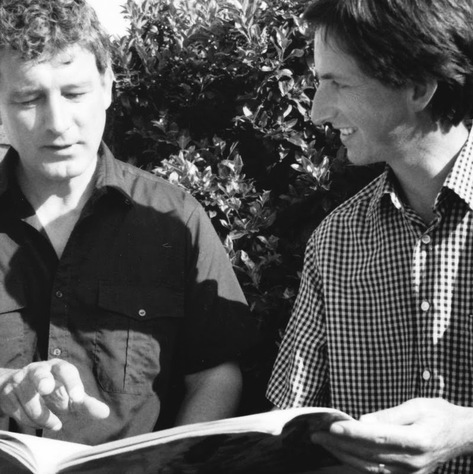 In the mid-nineties, Albany Records approached Alan MacLean and Peter Lawson with the idea of exploring the wealth of twentieth century music written for piano duet. Their first recording English Music for Piano Duet received critical acclaim and was named "Disc of the Year" by the American music journal Fanfare, moving one critic to write, "I cannot recall ever hearing a piano duo with such perfect unanimity before." This was followed by a *** recommendation in the Penguin Guide to Compact Discs: "An outstanding performance and recording in every way." BBC Music Magazine concluded: ".....the music is brilliantly captured in these performances". Building on the success of two earlier recordings, a third CD of piano duet music was released in 2017. Also entitled British Music for Piano Duet, this CD is on the Heritage label and includes works by Quilter, Joubert, Hedges and Pitfield, a number of which are world premieres. Alan's partners in this wide-ranging repertoire are Peter Lawson and Gavin Sutherland, pianist and conductor of English National Opera.